One can book Indian Railway train tickets by installing IRCTC Connect android app on their mobile. It is very easy to book Indian Railway tickets by installing this app. One can login to this app by using IRCTC username/passwod. New user registration can also be done by this app. 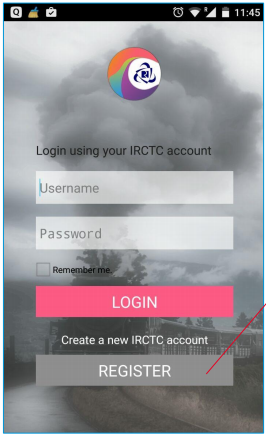 IRCTC connect can be downloaded on android phone by seaching the "IRCTC Connect" on google play store.